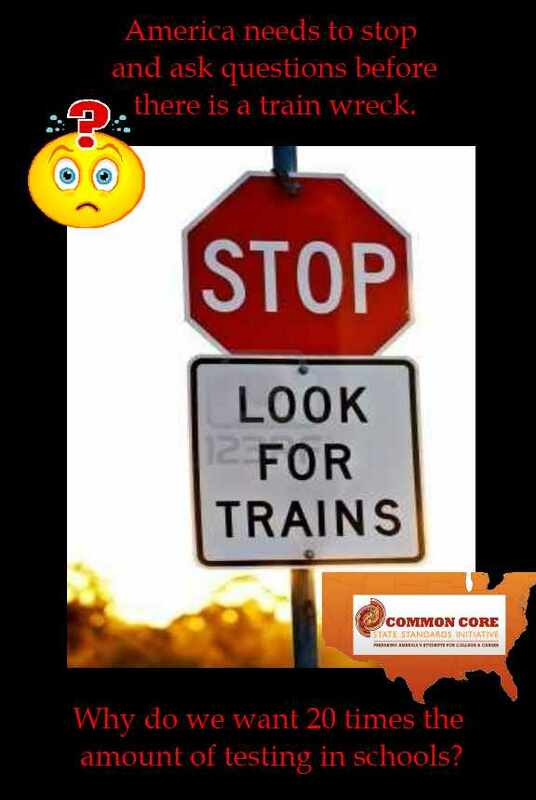 The Common Core train has left the station. Is it a runaway train? Is it unstoppable? Americans, get ready. Common Core State Standards have already left the station, according to Stephen Krashen, who was featured in NABE Weekly eNews, (2012), and the National Association for Bilingual Education, see S. Krashen, “Poverty is the problem that must be solved: Our schools are not broken” NABE NEWS, 33 (4): 5-8. July/August 2011. But who is this Stephen Krashen? Why should we ask him? Why not ask Bill Gates? Or Pearson? Or David Coleman? You can read about Krashen here on his website. He’s an expert in education, unlike Gates, Pearson, or Coleman. The problem is, Krashen isn’t driving the train. Gates, Pearson, and Coleman are driving the train, and that’s like having no one at the wheel. No one that knows what they are doing. Are schools really so broken across America that 45 states have to adopt these untested standards? What do we do when every American child is put on board a train without a driver? Do we let that runaway train go until it crashes with all of them on board? These are serious questions that someone needs to answer. Let’s get a feel for what might be at risk, then pay attention closely as we ask Stephen Krashen, an education expert. He and NABE have given their permission to print Krashen’s work here. My photos and comments are added. Do Those Who Like the Common Core Know the Facts? As you may know, all states are currently deciding whether or not to adopt the Common Core standards in reading and math. If adopted, these standards would be used to hold the state’s schools accountable for their performance. Do you support or oppose the adoption of the Common Core standards in your state? Yes, you read that right! 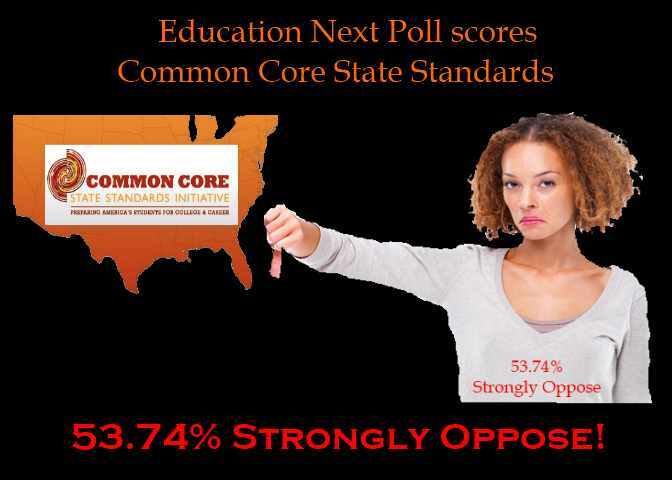 53.74% completely oppose the Common Core State Standards! Interesting, since implementation of Common Core State Standards is getting started already in 45 states across America! 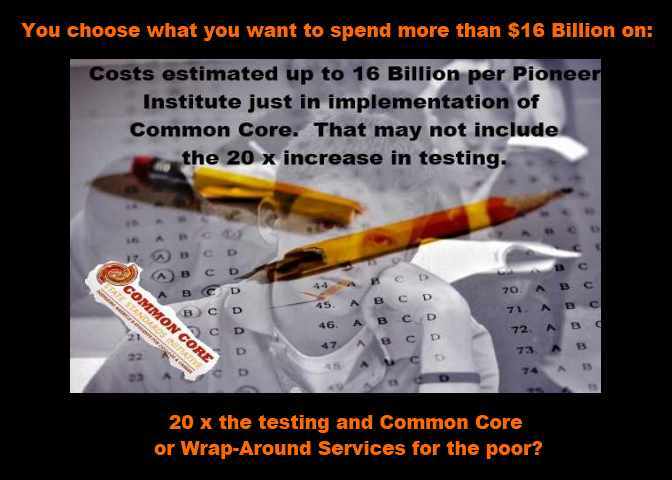 Yes, I wonder how America will feel about the BILLIONS being spent, according to the Pioneer Institute on implementation of the Common Core State Standards? 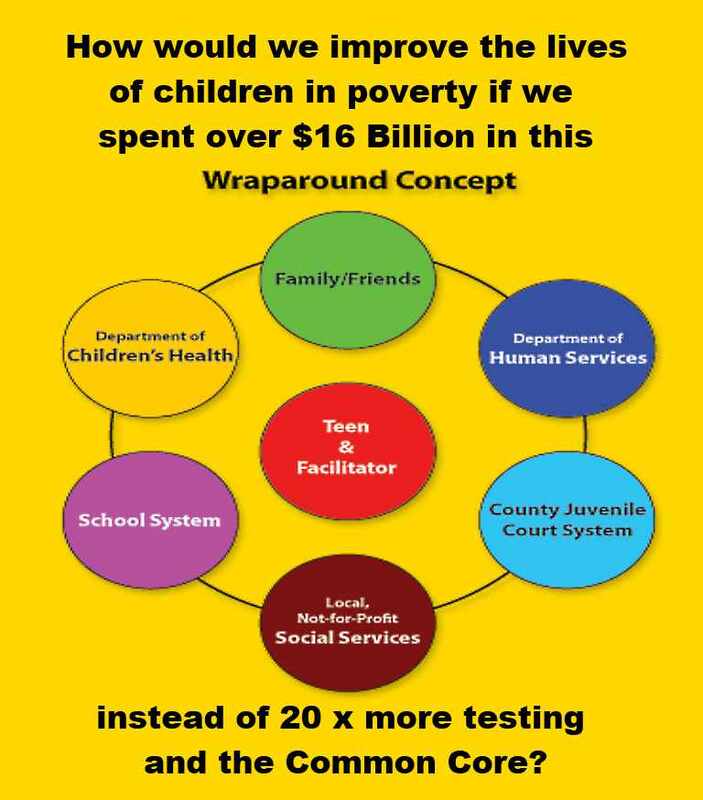 What if we invested those billions in wrap-around services to directly counter the impacts of poverty instead? Just what does all this testing do for children’s learning? Remember, “testing is not teaching”. How much time will teachers be spending on teaching with Common Core? How much excessive testing time goes on before the implementation? Sounds like a train wreck right around the corner to me. Are we nuts? Who is driving this train? What could communities spend that $16 billion on instead of implementation and testing costs? Are we assuming that by 20 x MORE testing, we are going to achieve better results? Who says? How do we know? What else does Stephen say this evidence in NABE? What does he say about the REASON we need Common Core. Is there a justifiable reason? What are the real factors devastating some student achievement? What would the people of America think if they knew the answers? Obama wants America to “race to the top”. There’s a “Race to the Top” medal for America. We have achieved, alright. We’ve achieved the second highest poverty rating among 35 “economically advanced” countries. 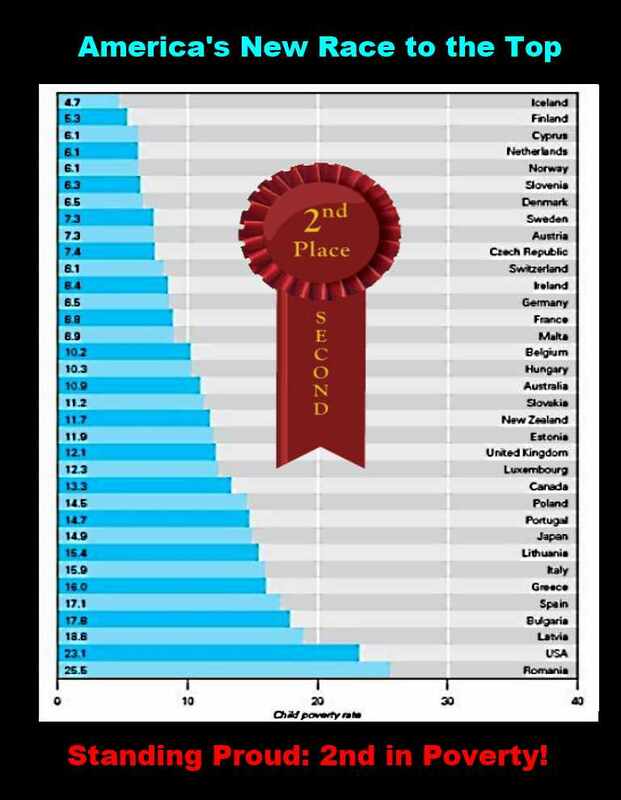 We get second place and after we spend these billions on implementing Common Core State Standards instead of dealing with the problem of poverty in the first place, maybe we’ll win next year! First prize! Maybe it is better for us to start becoming un-advanced economically? 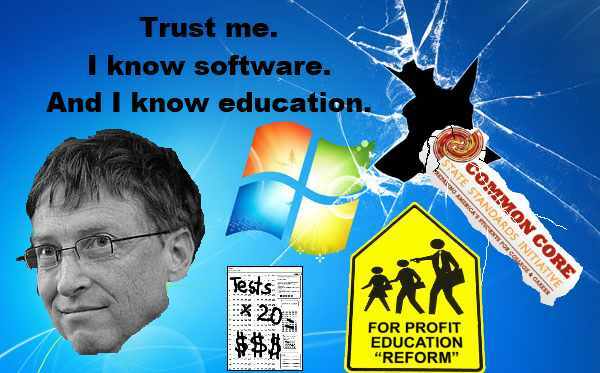 I suppose we should trust Pearson, Gates, and David Coleman and just implement the Common Core without any field testing, huh? Does America know these standards have not had any field testing? Will 20 x the testing help children in poverty achieve? Oh, wait. There’s more from Krashen. But is it too late? 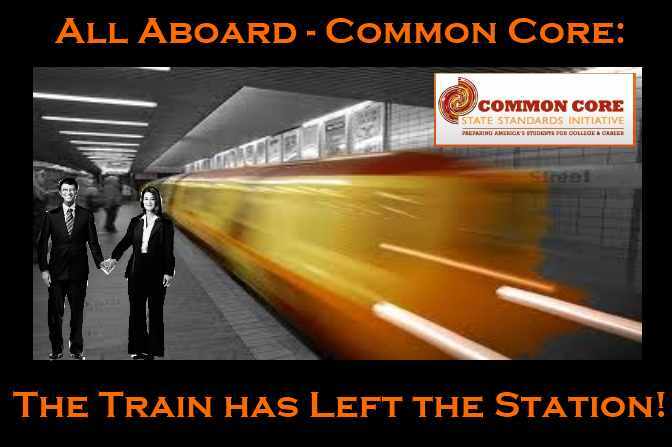 Is the train of Common Core unstoppable? He wonders too, what the pollers would have said if they KNEW these billions were being spent on UNNECCESSARY excessive testing. Is it unnecessary? Do you know, American parents? Start asking questions. Stop the train. Do these standards really make a difference when in the end, we all group up with different passions, talents, and interests that lead us to different vocations, professions, and lifestyles? Why try to standardize everyone? Does it make sense, really? What if we embraced everyone’s diversity instead? When was the last time you heard of ANYONE solving any of the world’s REAL problems by taking one of these bubble tests? Has anyone attributed these bubble tests to saving a life? Inventing something important for society? Establishing credibility in their future? What happened after you got your diploma? Did you EVER refer back to those bubble tests in your resume? But more importantly: What would happen if we spent these billions on stemming the bleeding on poverty instead? What kinds of things might REALLY help? 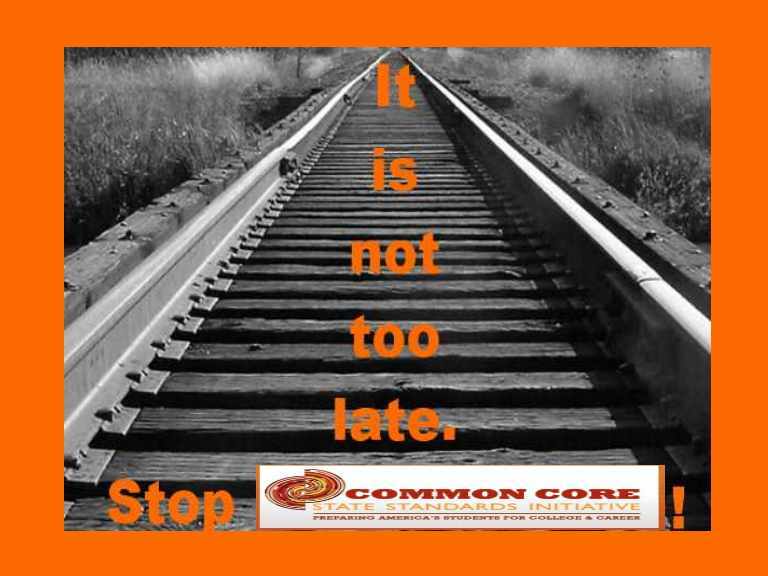 Krashen has more questions too, and points out — when it comes to Common Core, it may not be too late. Could we stop the train? Is it unstoppable? “It is not too late. We are frequently told that “the train has already left the station.” It has not, however, arrived at its destination. Note: NABE passed a strong resolution opposing the common core standards and tests at the 2012 annual meeting. For sources, see S. Krashen, “Poverty is the problem that must be solved: Our schools are not broken” NABE NEWS, 33 (4): 5-8. July/August 2011. Krashen inspires us, encourages us, and directs us to stop this train. We don’t need Common Core Standards. 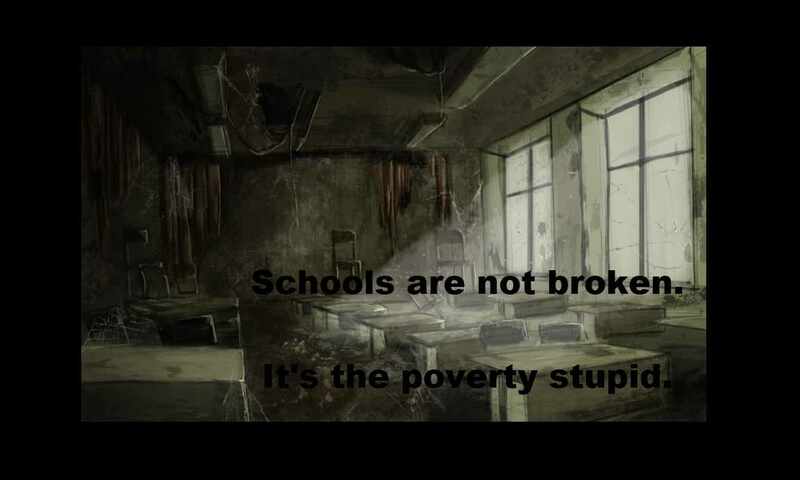 Our schools are not broken. We don’t need 20 x the high stakes testing. We don’t need Value Added Measures [VAM]. We don’t need charter schools to make the rich guys richer. 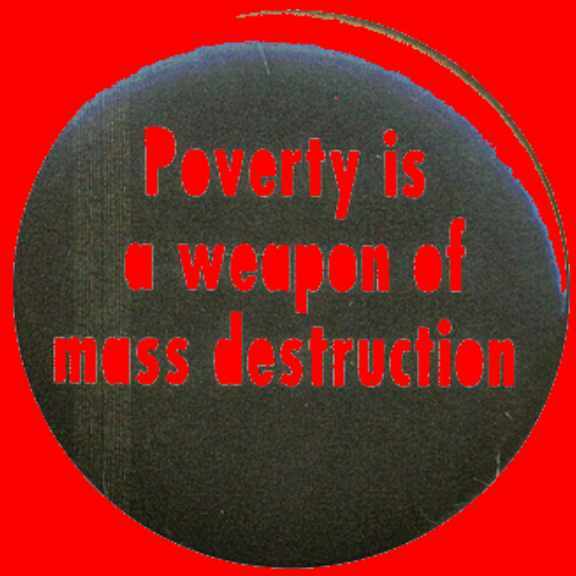 Poverty is a weapon of mass destruction. I agree with Stephen Krashen. 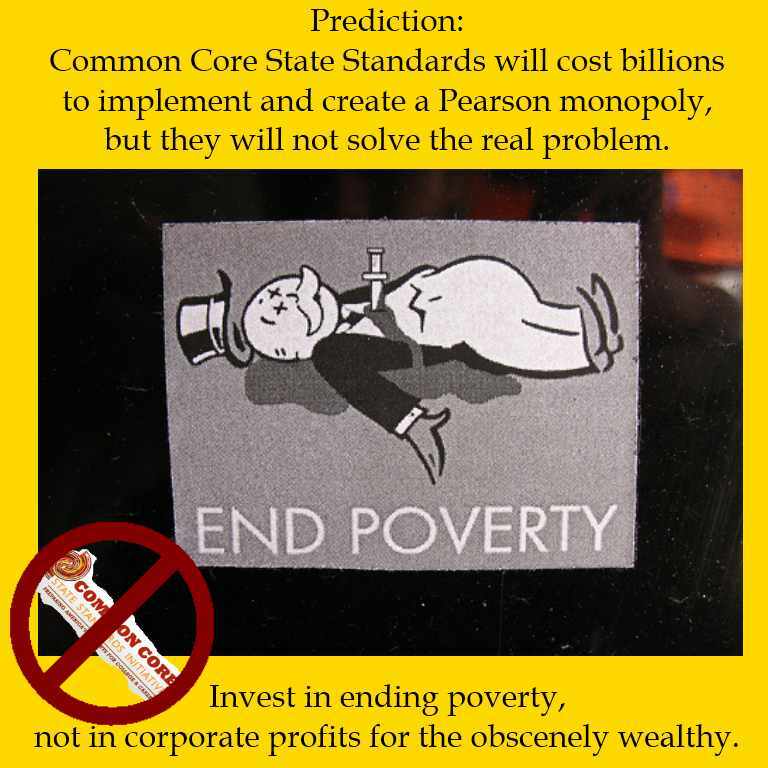 Common Core State Standards won’t help poverty. In fact, it’s $16 billion price tag will likely make it a whole lot worse. America, we need to put people like Stephen Krashen behind the wheel. Don’t be deceived by their propaganda: Take the wheel away from the corporations. Why would we trust them with anything? $16 Billion? Our children? Our schools? Our teachers? Why? 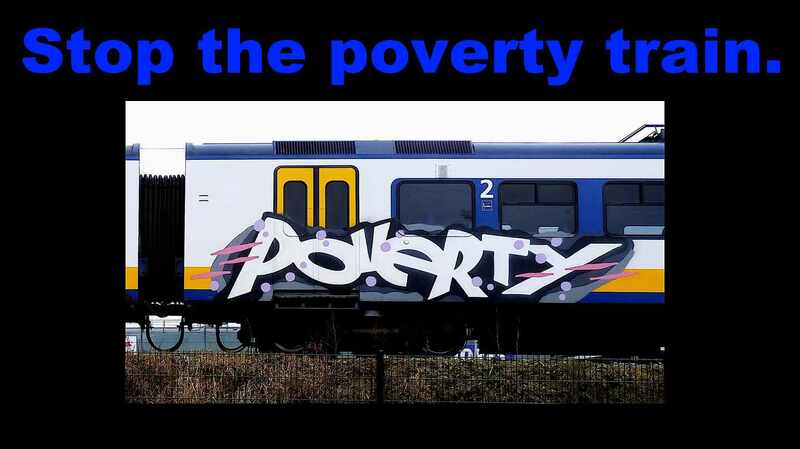 Let’s stop this train — the poverty train — before it’s too late. Because these children —- these children in poverty —- these children in our public schools — they’re real human beings —- they aren’t numbers. 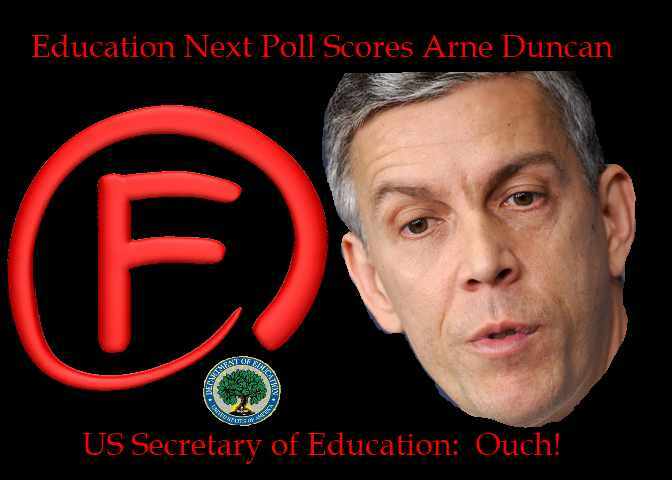 This entry was posted on Saturday, July 14th, 2012 at 7:00 am	and tagged with Arne Duncan, Bill Gates, Broken Schools, Common Core Curriculum, Common Core State Standards, Poverty, Profit, Public Education, Public Schools and posted in Bill Gates, Class Size, Common Core, Common Core Curriculum, Oppression, Public School, Race to the Top, Racism, Standardized Testing, Testing, Uncategorized. You can follow any responses to this entry through the RSS 2.0 feed. It will probably cost a lot more. The tests must all be delivered online. That means new computers for the many districts that don’t have enough, constant upgrading and replacement, and new equipment whenever there is a “breakthrough” in technology. And if the brave new tests fail to produce improvement, teachers will be blamed, and there will be calls for more tests and more technology. We pay for all this, the computer/testing take no risks and they can look forward to huge profits forever. This is one of the greatest boondoggles of all time.